When Stella and Tom move to a new home in London, they are sad to have left their friends behind. But soon they have a mystery to solve. Their neighbor's dog, Harry, keeps disappearing. Where is he going and why is he always wet when he comes home? As they investigate the area in the garden where Harry seems to come and go, they discover a hidden tunnel that takes them back to their garden ... almost 100 years ago. The Secret Lake by Karen Inglis is a wonderful children's book that reminds me of the adventurous stories I read as a child. I saw other reviewers say something similar. I'm not sure what it is about the way the story is told, but it is reminiscent of children's books from many years ago, yet it will definitely appeal to the kids of today. Stella and Tom have an adventure in the past that leads to new friends and discoveries. While it's a time travel story, it doesn't have a lot of fantasy elements (although there are some moles that act a bit unusual). It's an interesting look at how things change over the years ~ people as well as architecture and geography. I think The Secret Lake will appeal to any elementary school kids who are interested in adventure stories and time travel. This review was written based on a copy of The Secret Lake that I received from the author in exchange for an honest review. Hi Julie - I don't know what made me look here this evening but I did - and I'm bowled over to find such a lovely review from you! Thank you so much! I am so glad that you enjoyed the story. 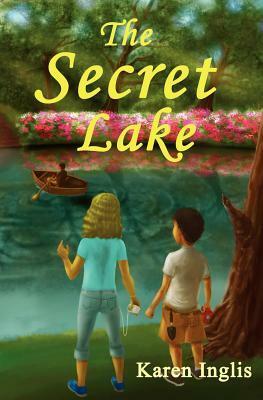 I've just completed a round of school events where The Secret Lake was a firm favorite with the 8-10 year-olds (and 7-year-olds!). I really do believe that whilst our children inevitably have very modern tastes and demands, they still love a classical mystery adventure of the sort we used to read as children... The Secret Lake has certainly proven this both in the US and the UK - and it fills me with delight to know that so many children have enjoyed it!